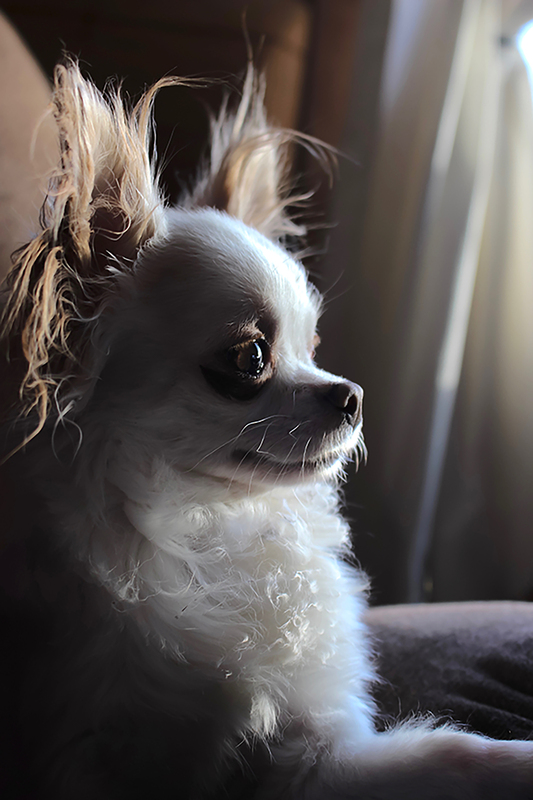 Every sunny weekend my small white chihauhau likes to sit on the chair and relax. One day the sun was hitting just right and she was giving the right look. Artwork Dimensions: 8" X 12"